The Aethlon Hemopurifier® is a first-in-class technology designed for the rapid depletion of circulating viruses and cancer-promoting exosomes. 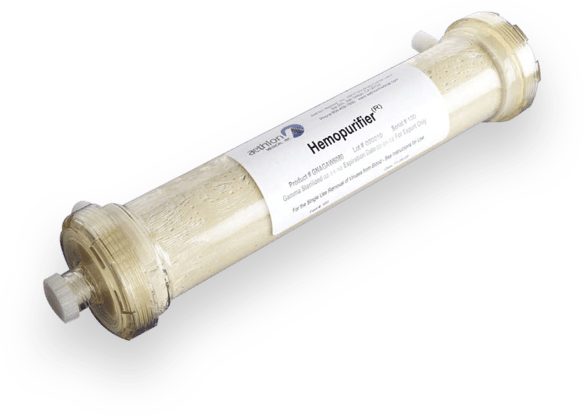 The United States Food and Drug Administration (FDA) has designated the Hemopurifier® as a “Breakthrough Device” for the treatment of life-threatening viruses for which there are no approved therapies. Beyond our therapeutic endeavors, we are the majority owner of Exosome Sciences, Inc., which is focused on the discovery of exosomal biomarkers to diagnose and monitor cancer and neurological disease progression.